This was after the two governors inaugurated a 7-man Governing Council for the university to pilot its affairs for the next four years. Osun state governor, Rauf Aregbesola and his Oyo state counterpart, Abiola Ajimobi on Monday, July 24, 2017, reaffirmed commitment to turn Ladoke Akintola University of Technology (LAUTECH) into the best university in Nigeria. The governors of the two owner states said no iota of distraction from any quarters will prevent them from resuscitating the university and make it the most viable citadel of knowledge in Nigeria and Africa. The newly inaugurated council is headed by a retired Head of Service of the Federation, Professor Oladapo Afolabi as Chairman and Pro-Chancellor of the institution. Other members of the Governing Council include: Professor Lai Olurode, Prof. Olaide Adedokun, Mr. Abiodun AbdulJelil Owonikoko (SAN), Mr. Isiaka Olagoke, Mr. Tise Adenipekun and Bade Adesina. While inaugurating the new council at the Oyo state Governor's Office, Ibadan, Oyo state, the Governors of the two owner states called on the council to do everything humanly possible to rejuvenate, revamp and reposition the institution to the greater heights being aspired by all. In his remarks, Governor Aregbesola, who described the university as one of the few higher institutions in Nigeria with best products, said the two states would not relent in their efforts to galvanise every opportunity that could help the university to accomplish her aims and objectives. He said the two states on assumption of offices have been working assiduously to strengthen the joint ownership of the institution, a move which according to him had earned the university several accolades and achievements. Governor Aregbesola said the two governments of Osun and Oyo have done a lot in maintaining the good reputation and rank of the institution as it was designed by the founding fathers. 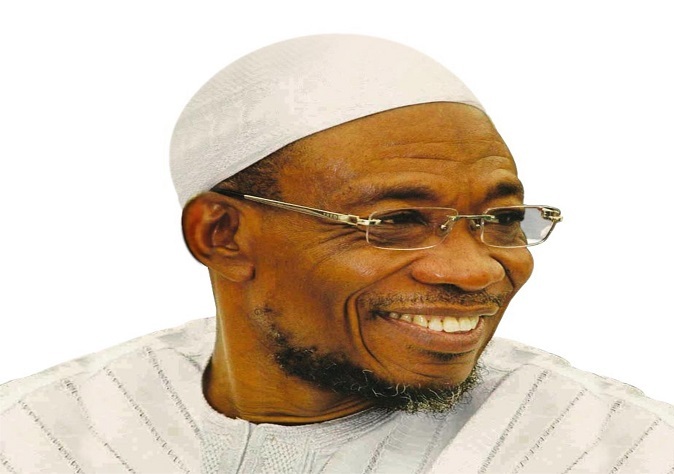 While charging the council on the need to complement the already established myriads of development and transformation in the citadel of knowledge, Aregbesola said it is time for them to do the needful and take great advantage in the current situation to uplift the university in the interest of both states and public at large. According to him, it is not a doubt that the newly inaugurated Governing Council members are a crop of seasoned and eminent personalities that have all it takes to move the university forward at this critical times. He said, "From your distinctions in various aspects of life to your track records, you are highly distinguished and unique.
" I am highly proud to have you as members of the new Governing Council of our great university. "I expect extraordinary performance from you all. That is not to say your predecessors were not good. To us those you are succeeding did their best to administer and represent us as the supervisors of the university but the uniqueness on your own calling now, is the circumstance that you are beginning your tenure. "You must be committed to the efforts made by the owner states to sustain the joint ownership of the institution in line with the spirit of the founding fathers and make the university the best of all in the country. "The present governments of Osun and Oyo have not only brought about huge transformation but also maintained the trends of quality high education as being reflected in the institution's track records. "It is for this reason that we want the new Governing Council to, within the shortest time possible, rejuvenate the university, reposition it and bring it back not just to enviable position but to make it the best university in Nigeria. "There is no doubt that LAUTECH was known to be the best university in Nigeria and we want you to maintain this tempo in placing our university above its peers in Nigeria in churning out graduates not only virile in academics but distinguished in character. "We want you to perform miracle if possible as was done by Jesus Christ who turned water to wine according to christendom, so as to ensure that the university is not only resuscitated but placed to the greatest heights ever known in history. "We want every member of this Council to perform another miracle that will turn around the fortunes of the university for the betterment of all. "We want to use your tenure to perform wonders in making the comatose LAUTECH, within the shortest possible time, the best university in Nigeria." Governor Ajimobi attributed the inauguration of the new Governing Council to the fulfilment of one of the recommendations given by the Visitation Panel set up by the two owner states. He said the steps were taken towards the sustainability and achievement of the aims and objectives of the founding fathers in making the University to be the best in Nigeria. He said the two states' inauguration of the Governing Council showcases to the world their absolute commitment to goals and objectives of the founding fathers. According to Governor Ajimobi, "LAUTECH is an institution owned by the Osun and Oyo governments and we are irrevocably committed to this joint ownership just as we are determined to make the university the best in Nigeria. "Like all institutions, there are challenges and anyone who claims to be a leader or manager and wants results must never be afraid of the challenges. "In fact, it is because of these challenges that made us to be here because we are ever committed to surmount those challenges as LAUTECH is no exception as we all know the historical perception of the institution. "We have carefully selected the members of this Governing Council whose track records cannot be faulted and there is no doubt in our minds that all the members of new Council are eminently qualified not only to resurrect LAUTECH but to reposition the institution. "We assure you that looking at the membership that we have, there is no doubt in our minds that within the next three months, we will start to see first thing to avert the undeserving trends that we have and to begin to reposition LAUTECH accordingly. "It is based on this that we quickly implement one of the recommendations of the visitation panel to ensure that we inaugurate and put in place a Governing Council. "We are also working seriously to ensure that LAUTECH remains sustainable and achieve the aims and objectives of the founding fathers in making the University to be the best in Nigeria. "We are recommitting ourselves to those goals and objectives of the founding fathers as we are sure that by what it will take, we would reposition and reopen the university and LAUTECH must work." While appealing to striking workers of the institution on the need to reason with Government's stance and support on the new move to reposition the university, Ajimobi said the owner states will do everything possible to turn around the institution. He said, "We are committed to ensuring that we have a forensic audit of the finances of the management, students and programmes of the university just as we are taking this opportunity to appeal to all the stakeholders to please allow sanity to prevail. "There is nowhere in the world where employees of an institution will prevent the owners from repositioning the institution. There is nowhere in the world where workers unions of the institution will prevent the forensic audit of that institution. "So, we are appealing to either the Union, the Workers or students of LAUTECH to please allow us to promote this university and reposition it according to the dictates of modern day management and institutional development. "It is on this note that we are saying, that the new Governing Council has now been given all the powers to do whatever necessary to resuscitate, to develop, progress and reposition the university so that it becomes the number one university in Nigeria." Responding on behalf of other members of the new Governing Council, the Chairman of the Council, Professor Oladapo Afolabi assured the owner states of improved and better performance.